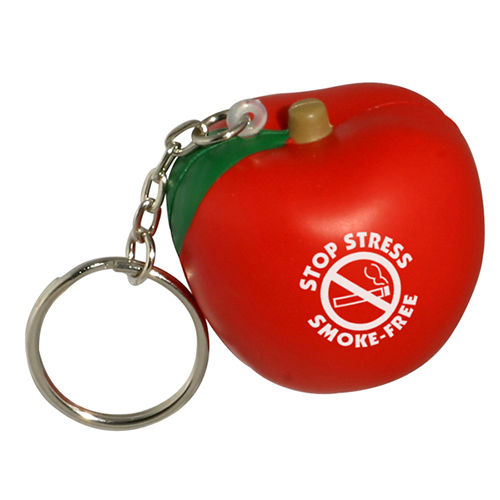 Our bright red Apple Keychains are fun promotions to give-a-way at fairs, markets and healthy eating events. These apple key chains can be custom imprinted with a message or catchy phrase. Take a bite out of your competition with an apple key chain! Item Size : 1-3/4" dia. x 1-5/8"